Brad Koerner is a creative leader in the application of advanced lighting technologies and interactive digital media systems. Brad is currently focused on the development of interactive experiential environments for retail and hospitality brands. Previously, Brad was the General Manager of Luminous Patterns, a new venture within Philips Lighting that integrated decorative patterns of light into architectural wall and ceiling surfaces. Brad was the Director of the Iconic Projects Team in Philips Design; the Lighting Market Manager for Color Kinetics; a lighting designer in the Boston area at Lam Partners, Ripman Lighting Consultants and Light This!. At Light This!, Brad was recognized with the prestigious IALD Award of Merit for the Montage retail project. 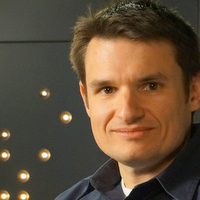 Brad received his Master of Architecture degree from Harvard University, where he received the IALD Education Trust Fund Grant and the IESNA Richard Kelly Grant for his research into interactive luminous retail displays. Brad received his B.S. in Architecture from the University of Virginia. He has lectured for the IALD, IESNA, PLDA, US DOE, and his work has been published in Architectural Record, Professional Lighting Design, LEDsMagazine, Lux Review, and Interiors.